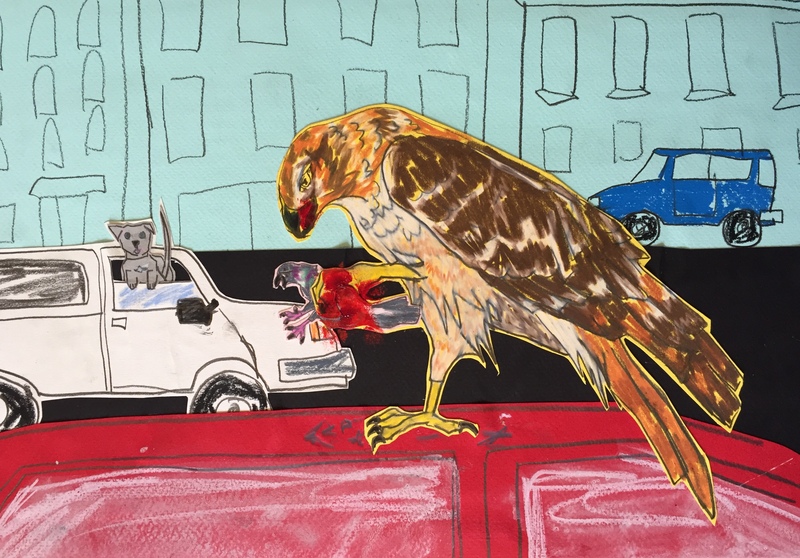 I was waiting at a stop light one afternoon when a big hawk dropped out of the sky in front of my windshield. He snatched a pigeon out of mid air and landed with it on the roof of a car next to me. The light turned green and I drove away still watching the hawk dismantling the pigeon in my rear view mirror.